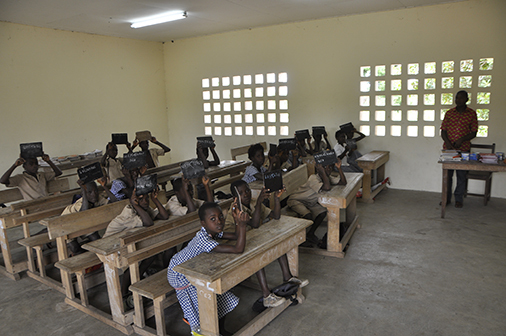 In keeping with our commitment to help build sustainable communities where we operate, Canadian Natural completed a series of social projects during 2016 and 2017 to support local communities in C?te d'Ivoire (CDI). Canadian Natural’s operations in offshore CDI are located roughly 60 kilometres southwest of the city of Abidjan, CDI’s commercial centre, where we have an office. Natural gas from our Espoir field is the main source of electricity in the country. 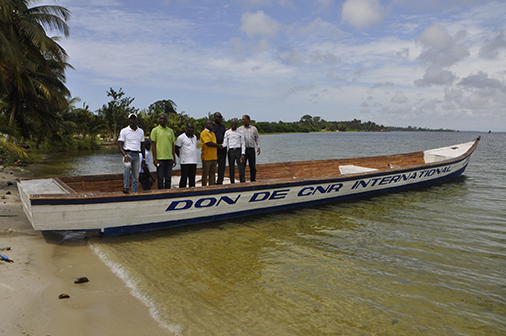 Grand Jacques villagers pose on one of the fishing boats CNRI provided as part of the C?te d’Ivoire Villages Project.